​If you prefer to pay by check, you can download the paper form here and submit your payment and information to your child's teacher. MemberHub is our new site for allowing on-line membership purchases. Each parent must be entered individually, but we still offer a discount for family memberships. The first parent will join at the 'individual' rate of $10.00, and the second parent, in the same household, will join at the 'other' rate of $5.00. "No Fuss Donations" or additional gifting can be made by visiting our No Fuss Donations Page. Thank you for your support! 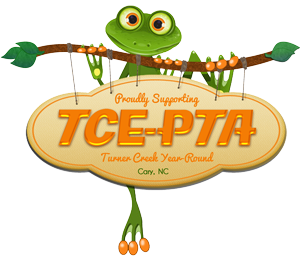 If you would rather avoid these transaction fees, please print the .pdf membership form above and return it in your child's backpack in an envelope marked "TCE-PTA Membership". Thank you again for your support.